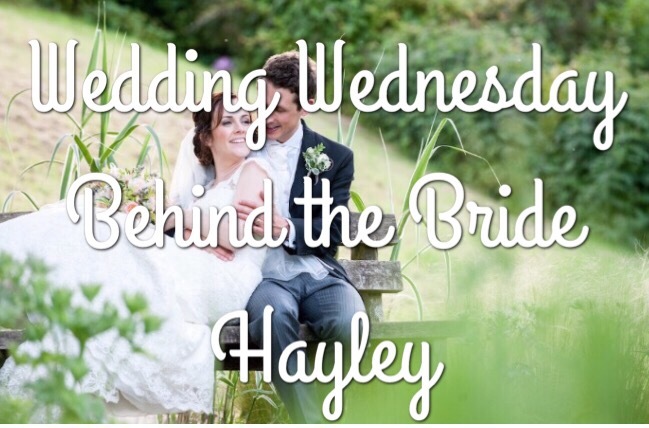 This week Hayley from Devon Mama has been reliving her wonderful wedding day. Hi Hayley, first of all, congratulations on your marriage! When was the big day? Thank you! 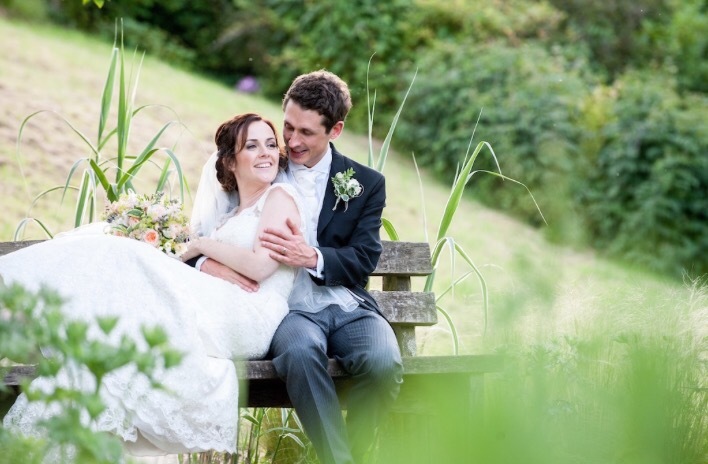 We got married on the 27th June 2015 – it feels like yesterday and a lifetime ago at the same time! Dave and I met at work; he was working as a web developer and I was working as a buyer. We were working on a campaign to do some promotions with my products and he had to check some of the specifications and stock levels with me. I was convinced he had a girlfriend (he didn’t) but we started exchanging emails on a purely friendly basis around working matters. A few weeks later, a new policy was introduced banning personal emails at work. I got a little tipsy one night and added him on Facebook, we started chatting on there and eventually I suggested he take my number and take me out for a drink! It makes me cringe so much now looking back on it but he never would have made the first move – he was far too shy at that point! On our first date, he was a nervous wreck and nursed one drink all night, I went home and told my friend it was a disaster. Thankfully she talked me into seeing him again and the rest, as they say, is history. We’d gone to a friend’s wedding in Canada and on to Florida for a holiday afterwards. The holiday was a bit of a mess; the time in Canada was consumed with Dave doing Best Man duties whilst I barely knew anyone else, our four year anniversary passed with a crammed flight to Orlando, both of us hungover and getting completely lost at 11pm in a hire car we didn’t know how to drive. As you can imagine, I was pretty grumpy about the whole thing and Dave was really distant the entire time. I thought he was preparing to break up with me! One day we had an argument about it in the morning and having put my mind to rest that that wasn’t the case, he insisted we go somewhere calmer than Disney. We went to a beautiful plantation style house and gardens for a walk around and in the gardens I asked him to build me a house like this one day. With that, he dropped to one knee and proposed! In the blur of tears (both mine and his) he jammed the ring onto my finger without me even accepting… He had been carrying the ring around the entire trip, having spoken to my Dad just before we left and was ridiculously nervous the whole time that I would find out. 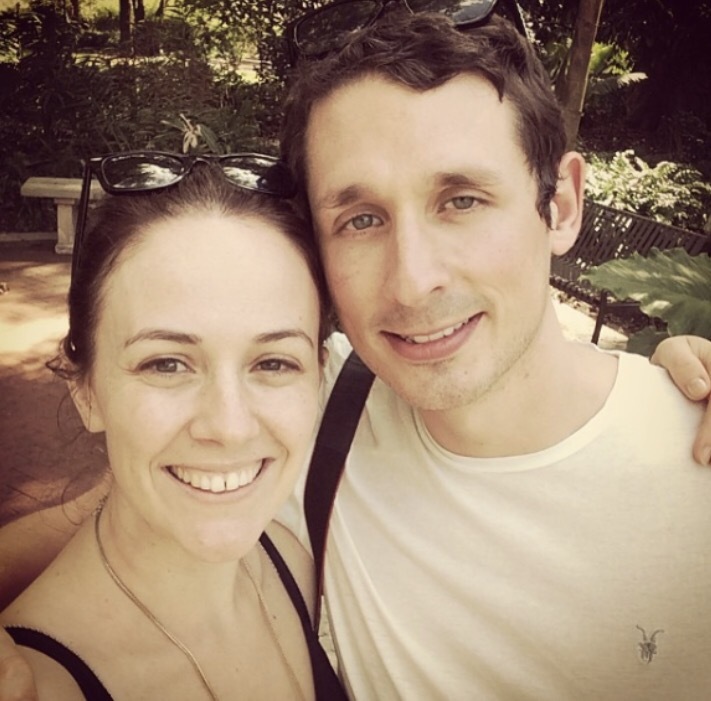 After we got engaged, we told no-one for a few days as we wanted to tell them in person but in the end I couldn’t contain it anymore and we made a lot of emotional phone calls home. My Dad was in India with work and we rang him at 3am, he was so relieved to finally be able to share the secret, he’d told no-one – a world record! We got married at the church in the village where I grew up. My parents live five minutes away and it was the perfect size for our wedding – not too big, not too small. 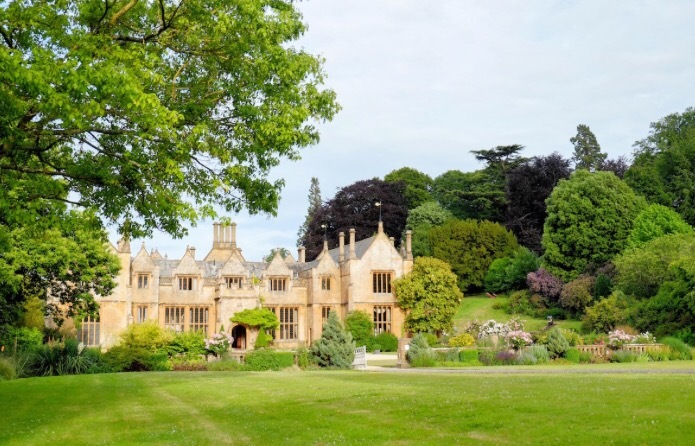 We then went to Dillington House, a huge private house in Somerset for the reception and an overnight stay. We wanted a completely private place where those we loved to be able to stay the night with us so that children could go to bed and the party could go on until the morning. We had 80+ people to the wedding in the day and about 50 of us stayed the night which was perfect. We didn’t have a theme. I wanted everything to be very simple. We’re not huge fans of fuss and both the church and the venue were already gorgeous settings. In the end, we ended up with a peach and blush colour scheme – pale pink dresses for the bridesmaids, peaches on the tables and plenty of white and green everywhere. I have so many amazing memories from the day; our flower girls sat waiting on the front step of my parents house, me making my dad hike down their lane because I couldn’t bear to wait for the car any longer, my brother and I giggling in the church at one of the hymn lyrics, Dave’s look back at the congregation after we’d been declared husband and wife… so many things. My favourite though was during our meal; my dad had secretly arranged for singing waitersThey served food during the first two courses and then one of them came out to make an announcement that the chef was leaving. I remember being so annoyed that no-one had checked with us if it was okay for them to do a staff send-off. 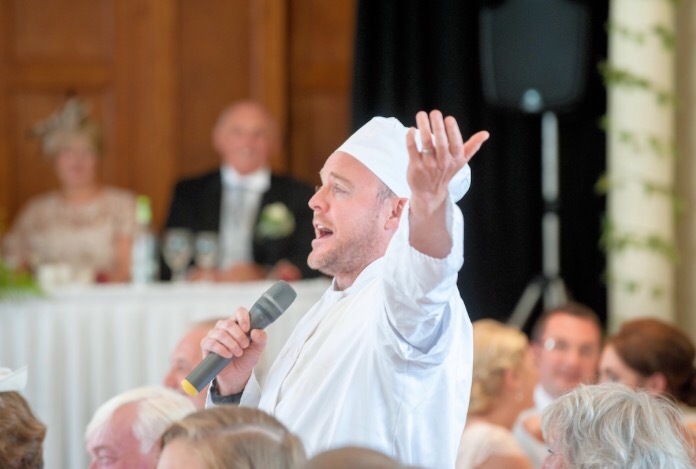 The chef started to say a few words and burst into song. What followed was half an hour of singing from opera to Abba – at one point we were all swinging our napkins over our heads. It’s making me cry just thinking about it. I remember looking down and seeing my Grandpa calmly eating his peach (the place setting) in amongst all the madness of everyone else dancing and being incredibly, incredibly happy. The car my dad booked was the slowest car ever and made us 30 minutes late to the church by the time it’d done three trips. The musicians for the drinks reception music were ill on the day and then delayed getting to us so we ended up cancelling them and getting a refund. Thankfully we said no when they offered to play during lunch as, unbeknown to us, that would have scuppered the surprise. The peaches had all gone rotten overnight between us setting up on the Friday and the florist arriving Saturday morning but our florist sorted new ones without saying a word to us until after the wedding. So much advice!! Don’t overthink things. 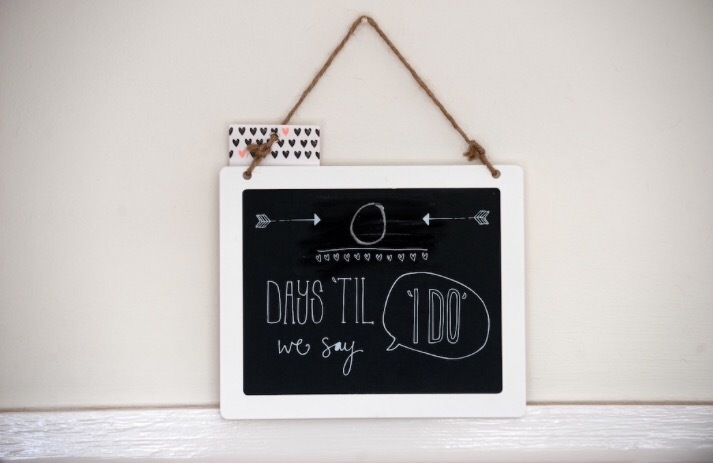 I got caught up in worrying for ages about small details like what earrings the bridesmaids would wear and completely forgot to do a seating plan until the day before the wedding! On the day everything blurs into one thing and you’ll forget how worried you were about it all – I spent an age worrying about feeling faint in the church service but on the day I forgot my fears entirely. Try and think about the day as if you’re a guest. We had a long journey between the church and the reception and we knew people would be hungry as it was right over lunchtime. We decided to hand out bags of sweets as people left the church for the journey – it went down wonderfully. If you can afford it, get the day filmed. It was a last minute decision by us to do so but it’s so much better than a photo. Seeing the looks on peoples faces and taking in bits that we didn’t see on the day was worth it’s weight in gold. Finally, take a moment to sit back and take some time for you and your new husband or wife to take it all in. The day goes in what feels like seconds and you only get one opportunity to see it all. My advice – enjoy every last moment. It’s a major cliché but it’s one of the best days of your life. Wow, thanks so much for all the tips Hayley! And it’s been lovely hearing all about your own big day! Devon Mama is run by Hayley; a 30 year old mama, wife and recovering sleep addict. Living with her husband, baby and the world’s bounciest dog in rural Devon, Hayley can be found attempting to cook, Googling everything and embracing the strange new world that is parenting. Add in a house with ‘a lot of potential’ and a return to her ‘real’ job as a Company Director and it’s organized chaos at the best of times. You can follow her adventures on her blog, Twitter and Instagram.